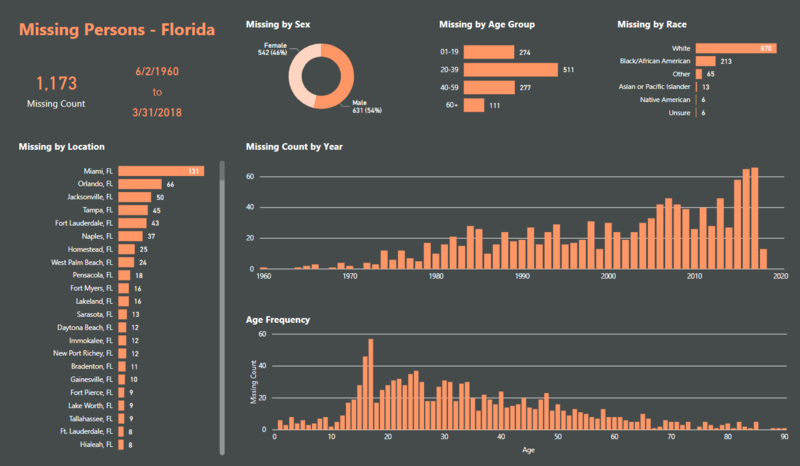 This report complements the summary report by looking at specific age groups. You can select an age group to find out what percent of the total missing it represents. 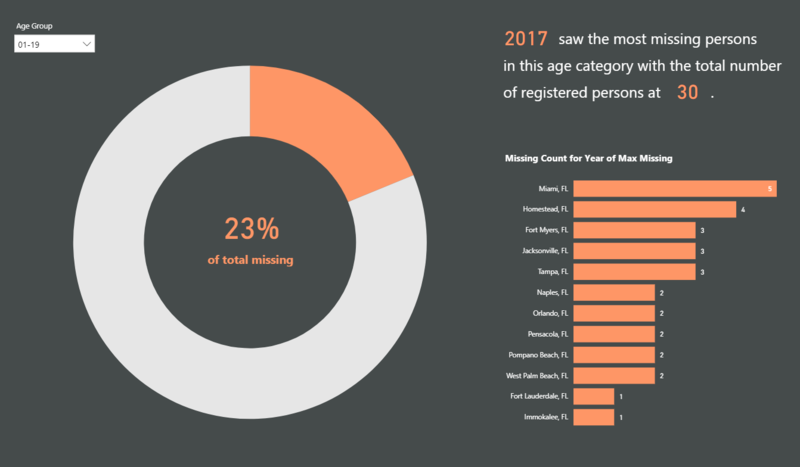 Dynamic text changes based on your selection, informing you what year saw the greatest number of missing persons. The bar chart then displays the missing count for that year by city.